Why Going Solar Makes Sense (and Cents)! Solar electric systems have strong valuation due to their potential to reduce long-term energy costs for homeowners. As such, solar electric systems are recognized as marketable improvements to homes that, on average, significantly enhance the real estate value of properties. 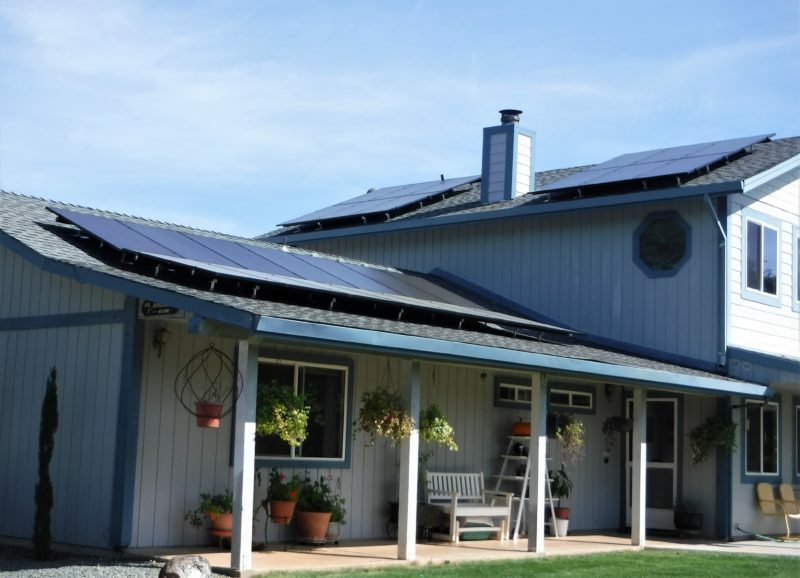 In a study of over 22,000 homes with solar panels (PV homes) across 8 states, the Lawrence Berkeley National Laboratory found that “home buyers are consistently willing to pay PV home premiums across various states, housing and PV markets, and home types. The average premiums across the full sample equate to approximately $4/W or $15,000 for an average-sized 3.6-kW PV system.”  Therefore, solar electric systems maintain a significant portion of their market value, in addition to the financial savings they offer through reduced electric utility bills. Solar technology is proven to be highly dependable and durable. Unlike the stock market, the demand for solar technology is stable and continues to grow. And unlike many other types of high-tech products, which are obsolete after only a few years, most manufacturers of solar panels offer a 25 year performance warranty (which typically guarantees 80% production at the 25 year mark). The residential renewable energy tax credit currently allows property owners to deduct 30% of the installed cost of the solar electric system from their annual tax return. The federal tax credit will remain at 30% until December 31, 2019. (After that date, it will drop to 26% in 2020 and will continue to drop until it is phased out on January 1, 2022). Moreover, solar is a tax-free investment. Solar customers do not pay increased property taxes associated with the added value of their solar electric system.